I had the front brake pads and rotors changed. Before this was done the brakes were firm with little effort needed and no significant play in the brake pedal. When they were done, the brakes were soft and on starting the car, the brake pedal would depress nearly to the floor in comparison to where they were to start with. Even after driving the brakes are still very squishy and soft in comparison to where they were before the service work. I had the brake pads and rotors replaced before on this vehicle and the brakes were still firm after that. This time it is way different. Their response was that they don`t see any problem with the brakes and they dont open the lines or change anything in the brake system when replacing the pads or rotors. However something did change in how they operate. I expect the condition of the brakes and the way the car operates to be the same after this kind of work. This includes how the brake pedal works. If the brakes are firm and responsive when the car goes into the shop, they should be firm and responsive when it comes out, not squishy and not requiring a way deeper pedal press. Something they did changed the brakes. How can I have confidence in their work like that? And they say they won`t bleed the lines or try to fix what they did without a $70 service charge to bleed or $110/hr to troubleshoot. To me it feels like what they are doing is trying to get extra money from me. I could have changed the brake pads and rotors myself. It isnt that hard. I went to a garage out of convenience. I can bleed the lines myself too, and I will or at least go to a more reputable garage. I think Kal Tire should have made it right but by now I don`t trust these guys. I will never go to another Kal Tire again, and recommend others to stay away from them. Last week I purchased a set of Nokia all weather tires (with the snowflake) for a reasonable price (approx $800 for a set of 15s). These tires are excellent and will save so much money and time because I wont have to keep changing winter tires 2 x / year. The staff are excellent. The guys on Victoria street were so much fun to work with. They were friendly, knowledgeable, efficient, and super hilarious. 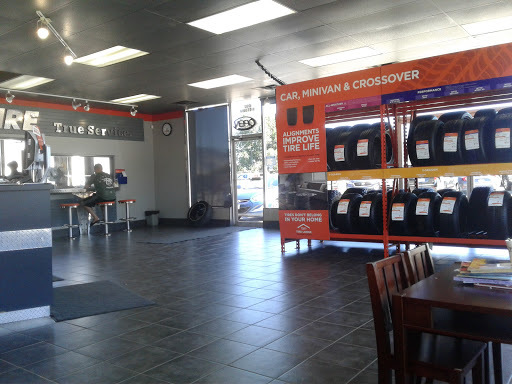 I was able to get an appointment quickly, the tires were put on in less than an hour and the bill processing was done quickly. I highly recommend the Nokia tire and Kal Tire services. I forgot to go in after 50 kms to tighten the bolt things and drove to 100 Mile. Luckily there was a Kal Tire shop there so I stopped in to see if they could help me. A great guy named Mike came out right away and tightened everything for free. He was awesome and it only took two seconds but gave me peace of mind for the ride back to Kamloops. The customer service at Kal Tire is exemplary. Subject: BRETT AT VICTORIA STREET DEPOT - KAMLOOPS I would like to send this email to say how amazing Brett was in trying to help us today. We are visiting Canada from the UK and woke up this morning to find all four wheels on our rental vehicle had been stolen. The rental company were close to useless and left me to sort everything out. After many phone calls to various companies I finally had the pleasure of speaking to Brett at Kal Tires, Kamloops. To say he could not be more helpful is an understatement. Brett searched and searched for a way to resolve our situation and kept us informed of progress throughout. His service was amazing and the kindness he showed to our dilemma was out of this world. I have to say that after loosing my faith a little this morning in how amazing Canada and Canadians are, Brett reinstalled that faith today. Thank you again Brett. You are a true asset to Kal Tire and to Canadian hospitality. Great service ! I had a last minute problem with my car during a road trip and they looked at it right away. They didnt had the part needed, but they found a solution to let me drive down to Vancouver. Thanks again ! Always enjoy the great service and friendly staff at this location! Prices are reasonable and I have a high level of confidence of the skilled team. I have been a customer here for many years and will keep coming back. I have used this location of Kal Tire a few times since moving to Kamloops. Every time I have gone their service has been excellent. Very friendly, honest, and give a fair price. Thank you guys and gals! Guys are so nice and always helpful. They take an interest in their customers. Service is excellent. .Shuttle is quick and convenient. convenient. Amazing staff and very helpful. They have lent me a hand a few times now. Amazing service , didnt lose any time on our road trip. Thanks guys ! Great service. Quick and friendly staff. Clean environment. Great customer service, I deal with them regularly. Great service! And best prices I could find! Great service and everyone is so nice !